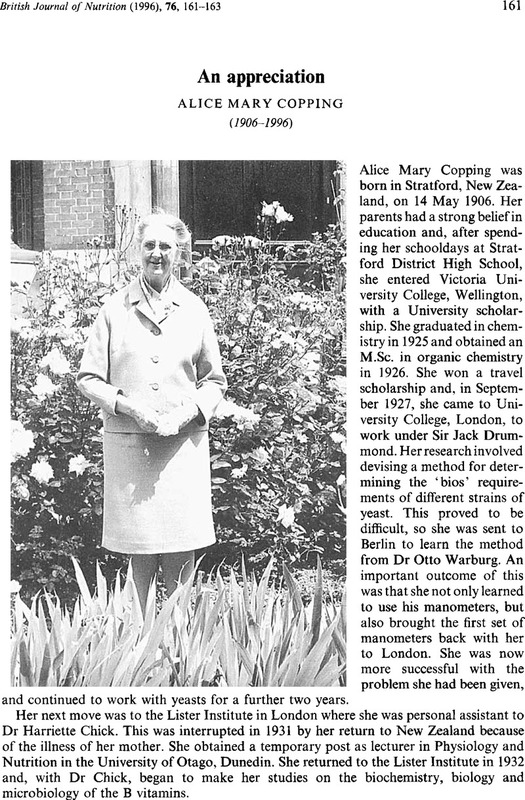 Copping, A. M. (1978). The History of the Nutrition Society. Proceedings of the Nutrition Society 37, 105–139. Copping, A. M. (1991). In The Nutrition Society, 1941–1991. Presidents and Honorary Members. Their Stories and Recollections. Compiled by Widdowson, E. M.. Wallingford, Oxon: CAB International.